As always, my photos are for sale. 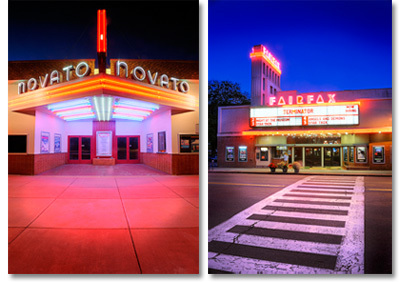 If you just MUST have a print of the Novato or Fairfax theaters on your wall, or any of others from the series, visit my Pictopia gallery. This entry was posted in On the Job and tagged Fairfax, Larkspur, Marin, Marin Magazine, Mill Valley, Novato, Point Reyes Station, Sausalito, Tiburon.